Radio420™: LARS performing in Fort Worth, TX on April 6th! LARS performing in Fort Worth, TX on April 6th! Just today, Majik Ninja Entertainment announced that there would be a single show date featuring the Last American Rock Stars aka King Gordy and Bizarre of D12! Where is this one mythical show going down? Right in my old stomping grounds of Fort Worth, TX! 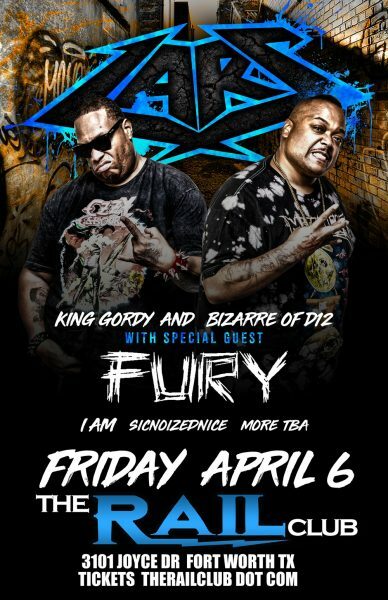 This show will feature special guest FURY, along with IAM, SicnoizeDNice, and more TBA! Hope to see my D/FW fam out there representin’!